My name is Debs Crowther. I am a level 3 mat Pilates instructor based in Bideford and North Devon. My name is Debs Crowther. I am a level 3 mat Pilates instructor based in Bideford and North Devon. After completing my degree in History I worked for Sainsburys for 11years designing and running management and staff training courses based in one of their area training centres. I then took a career break to start a family. Subsequent to having a family I found myself with some debilitating hip problems for which my doctor could only prescribe more and more painkillers. Pilates was recommended me and 16 years ago my rehabilitation started. 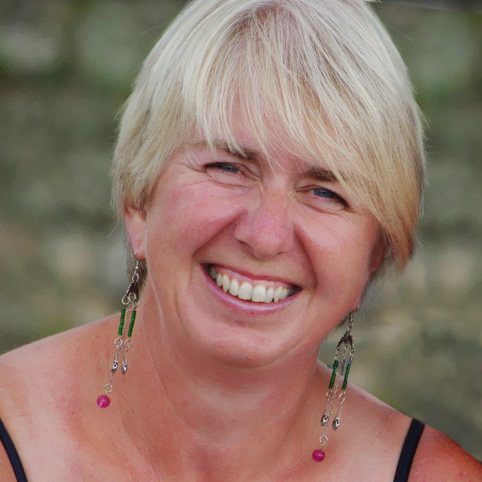 My recovery was such that when we moved to Devon 13 years ago I was able to start and grow a successful gardening business, continuing with Pilates to improve and maintain my physical condition. Sue Marcantonio was my very well respected Pilates instructor in Devon and with her encouragement I studied with MK Pilates in London and gained my level 3 qualification. I am constantly studying and developing my skills as both a participant and an instructor. I have recently added qualifications for myo-fascial release with a roller to my skills base. I am passionate about Pilates and its’ benefits. I believe it should be a personal experience, hence my company’s name – Personal Pilates.